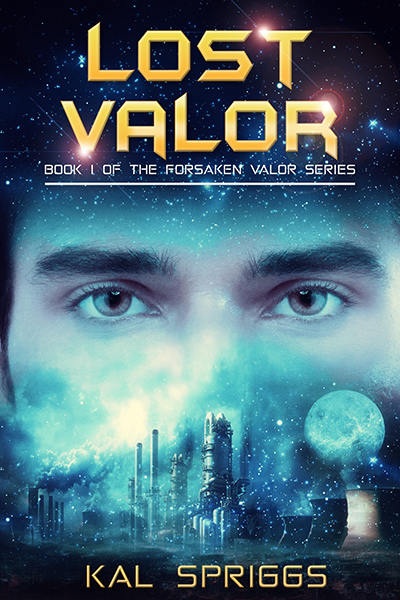 Hey everyone, here’s the first snippet of Lost Valor, coming out on 14 December! Hope you enjoy! See the earlier announcement here for the blurb. As the sandstorm howled outside like a mad beast, I couldn’t help but look over at my older sister and sigh. Jiden was ignoring the storm, her attention focused on her datapad. Not that she even needed to use the datapad. She had a neural implant that could just as easily paint the data in her vision. She was about to go into her fourth year of the Century Military Academy, if you counted her time at Academy Prep School, and she looked as if she weren’t nervous at all. I wondered if she knew how hard it was to grow up in her shadow. Even here at Black Mesa Outpost, there’d been some comparisons. My sister had been years ahead of most of her year group. Most of our instructors were either through the planetary network or were professors here doing work who contributed time towards the small population of kids at the outpost. There had been as many as seven of us five years ago. But then Tony Champion’s family had moved back to Duncan City, and my sister had gone to Academy Prep School and then her Champion Enterprises internship. In the fallout of that, I’d almost missed the other two kids my age moving away as their parents finished up their research projects. Then Tanner had graduated a year behind my sister Jiden. He hadn’t really had the drive to do any secondary schooling and he’d started a job at New Zion. I hadn’t been close to him or anything, but that had left Jesse and I as the only kids at the small school here. Most of the people who came to live and work at Black Mesa Outpost were either really old, older than my parents, some of them older than Granny Effy, or they were still in university and they weren’t even dating, much less married with kids. Jesse was only seven years old, so she and I didn’t really have much in common. The small class sizes in general and the fact that most of the “teachers” also worked with my parents made comparisons between my sister and I pretty common. When I was younger, being compared to my sister was mildly annoying. “You’re smart, just like Jiden,” was something that sounded fine the first time, but around the twelve millionth time one of my instructors told me that, I’d learned to just grit my teeth and pretend to smile. Not that I hated Jiden or anything, I just got tired of being compared to her. Things had been even worse at the Academy Prep School, because there I had to work twice as hard just to measure up. I’d been working for two years to get ready. I’d done so much physical training, so much additional studies, and even dozens of her training sims on my datapad. It hadn’t mattered though, because as soon as I showed up to Academy Prep School I’d been Jiden’s little brother from day one. I looked down at my datapad and sighed again. I’d earned my place there. I’d graduated from Prep School with the highest score of any candidate. Ever. The first thing someone had said to me afterward in congratulations had been that I’d graduated number one, just like my sister. Some day, some time, I wished that I’d have an opportunity to prove that just because I’d been born second, didn’t mean I was any less than her. The wind howled outside again and I glanced at the alert on my datapad: Weather Warning. Planetary Network Connection Lost. We normally lost our connection to the planetary network when we got a storm. We were way south, the furthest south permanently inhabited settlement in the northern hemisphere. Black Mesa Outpost was over a thousand kilometers south of the southernmost town on the planet Century. It was inside the deep desert, so far south of the northern polar region where most of the people of my world lived that life wasn’t really sustainable. Temperatures got up to points where no real wildlife, even the native Century stuff, could survive. Plants didn’t grow down here. The only water was what the supply skimmers brought in, and we rationed and recycled that over and over. What our isolation and my lost connection meant just now was that I couldn’t finish off my homework assignments that I had to take care of before I started my Plebe Year at the Academy. That bothered me more than anything. I’d painted a target on my back by breaking all the records for scoring. Every other candidate in my class now had a goal: score better than William Alexander Armstrong. The door to our parent’s house slammed open and my mom staggered into the room, wind and sand billowing with her. I opened my mouth to make a quip about her getting sand everywhere… and then I realized she was carrying a rifle. Our mother froze, her hands in the middle of loading rounds into the rifle. I noticed her hands shake, ever so much. She didn’t look up. “Jiden, there isn’t time for questions. I want you and Will to go out the back door. Head for the dig site.” I opened my mouth, confused. What was this about, what was going on? Jiden rushed towards me, grabbing me by the shoulder and shoving me towards the back door. She shoved it open, wind and sand billowing through. Even as she did, I looked back, hearing a crash as someone struck the front door. I heard shouts and I saw my mom raise her rifle and fire through the door. Then Jiden dragged me out into the storm. I knew it would be the last time I saw my mother. I did what she told me and I turned and ran. Jiden and I raced through the gusts, sand whipping our faces and hitting us both hard enough that every step was a struggle. I wanted to turn around, wanted to go back and help my mom, but she’d told me to run, so that’s what I did. The entrance to my parent’s archeological excavation lay only a short distance behind my parents’ small house. It was a square hole, the edges worn smooth by a million years of blowing sand, carved into the side of Black Mesa. Jiden and I dashed through, knowing the area so well that we’d run straight for it despite the blinding sand. I skidded to a halt, though, as a rough-looking man stepped out in front of us. “What do we have here?” He jeered at us. Jiden didn’t stop, she drove into him, knocking him down, even as she shouted at me to run. But I wasn’t about to leave her and I stepped forward, stomping on his fingers as he reached for his rifle. As he drew into a ball to cradle his hand, Jiden wound up and kicked him hard in the side of the head and he went limp. Jiden took off down the corridor and I raced after her, willing to follow her lead. She’d fought for her life, before. I hadn’t, and all the sibling rivalry in the world wasn’t going to make me argue with her now. Later on, maybe, but not now. As if she heard my thoughts, my sister picked the one thing that I wasn’t willing to go with, “If we run into someone, I’ll distract them and you need to run.” She said the words in a low voice, slowing her pace to look back at me. That was a low blow. I bit down a retort that I wasn’t really even a plebe, yet. I wouldn’t be until I started at the Academy. Right now I was just a civilian… but she was still a Cadet Second Class. I kept quiet and I followed her. All my instincts were screaming at me to ignore what she’d said, to refuse to leave her behind. At the same time, the logical part of my brain was telling me to listen to her. She had more experience. She’d fought before. I’d had my Academy Prep School training and that was all. I was a liability when it came to a fight… and that thought shamed me. As we went further down the tunnel, I realized that the noise of the storm had faded and the murmuring that I’d thought was the wind was actually voices. My first hopeful thought was that someone else had come down here to hide. That was, until I heard what they were saying. “Yeah, yeah, but you know they’re going to keep any good loot,” the woman grumbled. These people were here to steal, which probably meant they were with the man at the entrance and the people who’d attacked mom. “Just shut up and help me with this pad, will you?” The man grunted. Jiden moved up and peeked around the corner. I could guess where they were without looking, since I’d been spending a lot of time down here helping my dad. That area was well lit and it was the narrowest part of the entrance shaft. A network of metal struts, connected together with metal latches, held up this part of the ceiling, though now and again, trails of sand cascaded down. This was one of the alien complex’s old air shafts and it had been entirely filled with sand tens of thousands of years ago. My parents and the other archeologists had tunneled through, bracing the sand above with sheets of metal held by those braces… but they had only tunneled a relatively narrow gap. Jiden waved me forward and I took a look. The man and woman were just outside that gap, loading up a couple of crates on a lifter pad. We couldn’t sneak past them. My heart began to race as I realized we were going to have to fight them. “No,” I whispered back. “There’s only two of them. We can take them.” This was my chance, my opportunity to prove that I could be useful. “They’re armed, Will. They’ll kill us both if we stay here fighting them,” Jiden sounded ridiculously calm, her voice reasonable. She didn’t have any right to sound so calm about the fact that she was offering to sacrifice herself so I could escape. So I could run and hide like a child, more like. “I won’t leave you,” I snapped. I wasn’t a child. I wasn’t really an adult, yet, but I was fourteen Century years old, almost eighteen in Earth years. I was not going to run away, not when the two of us could work together and both survive. “Let’s go,” Jiden gave me a nod. I never felt so proud as when she acknowleged tha I could be helpful. We crept down the tunnel, moving as quietly as we could and keeping to the shadows until we were only a few meters away from the two of them. Jiden tapped me on the shoulder and pointed at the man. I gave her a nod. The man was tall and broad-shouldered, but I wasn’t exactly small. I was close to two meters in height and I’d put on a lot of muscle from all the physical training I’d done. I’d never exactly fought before, but I’d rough-housed at Academy Prep School and they’d taught us some basics of hand to hand fighting. I hoped that would be enough. The man and woman both had rifles slung over their shoulders, so their hands were free to work. Jiden waited until both of them were bent over a heavy box and then ran forward, charging at the woman. I wished she’d given me a signal or something, because I was a few seconds behind her as she charged. She caught the woman mostly by surprise, but the man dropped his end of the box and met my charge with some warning. Instead of bowling him over, we slammed against one another and we bounced off each-other. He growled some curse at me and I lunged in a tackle, trying to knock him off his feet. The man grappled with me and after a minute or so, I realized this wasn’t a fight I was going to win, not quickly, anyway. I punched at him, but he was too close. I heard shouting and grunting, I just hoped my sister was having better luck than me. Even as I thought that, I caught a blow to my stomach that took all the wind out of me. I dropped back, gasping for breath, but the man came at me, swinging wild punches at me. I kicked out, like trying to kick a ball and managed to land a solid hit on him, sending him staggering back and giving me a second to see what was going on. Jiden was on the ground, in the access tunnel. The woman she’d been fighting was standing over her. Things didn’t look good. I looked back, wondering if maybe we could run that way… and then I saw more people coming down the corridor, rushing along with flashlights. I looked back at Jiden and saw her expression set. She knew that we were trapped. There was no way out. Two more of the attackers rushed forward and I lost sight of Jiden. But I tried to fight, tried to struggle, because I knew exactly what Jiden was going to do. I heard a loud crash, and then a roar. I heard the men fighting me shout and scream in alarm. And then a black wave of sand roared through the room. It picked me up and flung me, tumbling end over end and the last thing I saw was the back wall of the room coming up to hit me like a flyswatter.